So I did it! 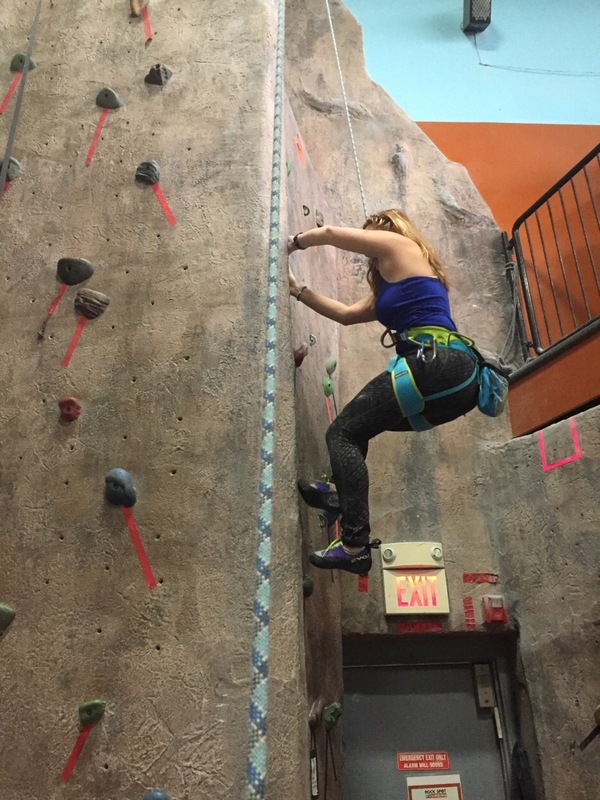 I accomplished my first crack climb at the gym. I did a lot better then I thought I was going to do! Everyone that I spoke to about crack climbing told me that people struggle with it their first time. And don’t get me wrong, I did struggle, but not as much as I thought I would. I found out that it takes a lot of technique, balance and endurance to crack climb. Which I think are my three best climbing features so that helped. I still need more practice like anyone else would need their first time and next time I think I’ll tape up. I was told to use tape to protect my hands which I didn’t think I would need because I was in the gym. However I was very wrong. My hands weren’t badly beat up but I could have benefited greatly from taping up! I love my aggressive La Sportivas so much but here is used my more relaxed Evolv shoes since they were able to fit better in the crack. Now that I feel accomplished I think it’s time for a nice refreshing, celebratory drink! A nice gin on the rocks sounds good to me!! My friend was able to grab a quick shot of me for the blog! Update: tonight I had a little cheat meal to celebrate an acomplishment with a few friends! 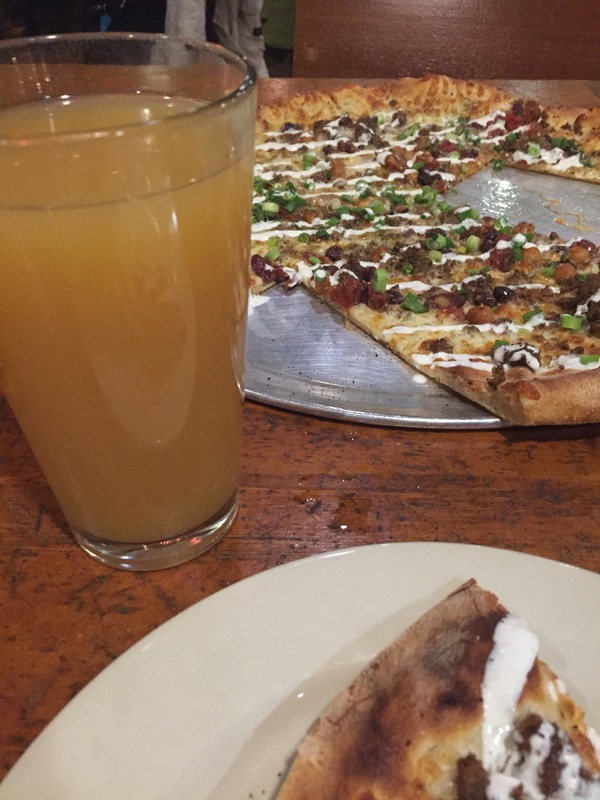 I nice cold beer and a carne special pizza from Flat Bread Conpany in Provenience. Flat Bread Company has such good pizza if you’re ever in the area of one it is totally worth checking out!